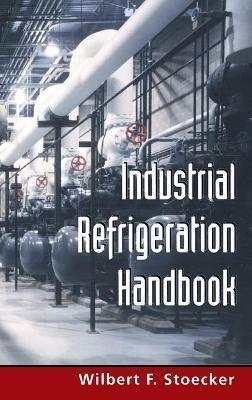 Drawing from the best of the widely dispersed literature in the field and the author's vast professional knowledge and experience, here is today's most exhaustive coverage of the fundamentals, design, installation, and operation of industrial refrigeration systems. Industrial Refrigeration Handbook details the latest industry changes caused by the coversion from CFCs to non-ozone-depleting refrigerants and the development of microprocessors and new secondary coolants. Also examined in depth are: Multistate Systems--Commonly used in low-temperature systems. Compressors, Evaporators, and Condensers--Essential system components. Piping, Vessels, Valves and Refrigerant Controls--The 'glue' that connects the components. Liquid Recirculation--A popular method of distributing refrigerants to various locations throughout the plant. Refrigeration Load Calculations--Crucial to proper system design. Refrigeration and Freezing of Food--today's most significant application. Safety Procedures--Especially for systems using ammonia. Offering a rare compilation of thermodynamic data on the most-used industrial refrigerants, Industrial Refrigeration Handbook is a one-stop source of vital information and guidance for every practitioner in the field. Preface.The Field of Industrial Refrigeration.Properties, Cycles and Units.Multistage Systems.Reciprocating Compressors.Screw Compressors.Evaporators--Air Coils and Liquid Chillers.Condensers.Liquid Recirculation.Refrigerant Piping.Vessels.Valves and Refrigerant Controls.Refrigerants.Safety.Electrical Control and Instrumentation.Lubrication and Oil Handling.Conservation, Reclaim, and Storage of Energy.The Refrigeration and Freezing of Food.Refrigeration Load Calculations.Refrigerated Structures.Secondary Coolants--Brines and Antifreezes.Refrigeration Below --40 Degree. Wilbert F. Stoecker is Professor Emeritus of Mechanical Engineering at the University of Illinois at Urbana-Champaign, and the author of McGraw-HillOs Refrigeration and Air Conditioning, now in its second edition. For 12 years, he has been a science adviser for the International Institute of Ammonia Refrigeration as well as a member of its research committee. Mr. Stoecker is also an associate director of the semiannual Industrial Refrigeration Workshop, a week-long course in which he also serves as a presenter.